GelaSkins have been around for a while with cool skins that look good and prevent scratches on the top of all sorts of notebooks and smartphones. If you are the power of one of the new MacBook Air ultraportables GelaSkins has announced that it is now supporting the new Apple gear. GelaSkins offers a ton of different styles with some that are plain, some by renowned artists, and some that are outright weird. I like this “Take Me to Your Leader” skin pictured here and the ones that are from Frank Miller of 300 and Sin City fame. 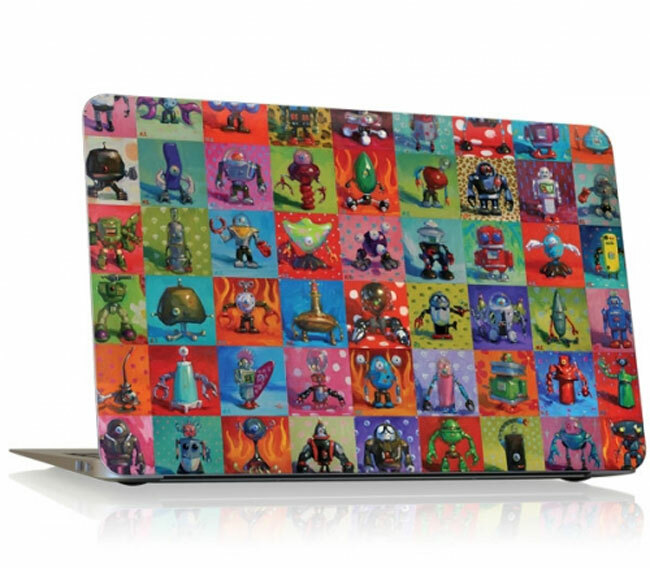 The skins cost About $30 each and apply to the lid of your notebook with 3M adhesive. That adhesive allows the skins to be removed easily if needed. The skins are less than 1mm thick and won’t interfere with any other case of bag that you might put on your machine.